It’s WordCamp Europe time, again! 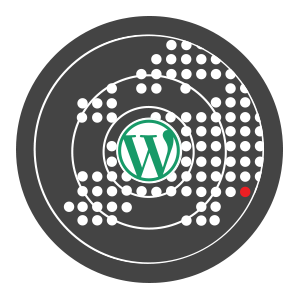 Posted byFranz Vitulli September 20, 2014 September 4, 2018 Leave a comment on It’s WordCamp Europe time, again! Less than one week and I will be in Sofia, the capital and largest city of Bulgaria. I know, you too are thinking Bulgaria! That’s quite an unusual destination isn’t that? like all my friends did. In all fairness it is, but if anything the unusualness only adds extra excitement and enthusiasm. Why am I going to Sofia? Let’s take a step back. As I work in a distributed team, I don’t share an office with my work buddies. Our normal place of work is our place of choosing: coffee shop, library, airport, home, hotel, Airbnb apartment, coworking space, you name it, a Human is working or has worked there. I work from home, but I surely don’t dislike the occasional trip to central London. Sitting in a Costa or a Starbucks coffee shop, having a cup of Earl Grey tea and doing my job with the pleasant ambient sound of a cafe. I mean, someone also developed an app for that, there must be some real good in it. It goes without saying that every time the Human Made family get the chance to hang out everyone is pretty excited – especially when the expression hangout has nothing to do with the well known video chat platform developed by the folks at Google. The first time I personally met the other Humans was in Amsterdam, four of five days before the 2013 WordCamp Europe that took place in the beautiful Dutch town of Leiden. Things have changed since then: I was still finishing my marketing internship, now I am a full-time member of the gang. Something that makes me feel fortunate to say the very least. This year, the organising team for WordCamp Europe accepted Sofia’s bid. And just as last year we are combining the WordCamp experience with one of our retreats. We are going to enjoy several activities during those days, notably the unofficial WordCamp walking tour of Sofia organised by Rhys Wynne, the Paintball Battle of Nations (I won’t take part as I think I’d be the only member of the Azzurri team), the Human Made & SiteGround bar hopping and, during the retreat, the flash talk night. At the last winter retreat in Trysil, Norway, I made a Keynote presentation about getting proficient with playing basic bass lines in just a couple of weeks. What am I going to talk about this time? Haven’t decided on it yet, expect an update somewhat soon. It’ll be my fourth WordCamp (after Leiden, London and Oslo), third Human Made retreat, second WordCamp Europe and first time in Bulgaria. Also the first WordCamp since I started taking online coding classes – some of the most tech talks might start to make some sort of sense to me, wow. There are so many reasons why I can’t wait to jump on that plane and fly to Sofia. First, WordCamps are amazing. The WordPress community is amazing. Second, experiencing once again the proof that a great company culture is possible. Third, getting familiar with Bulgaria’s tech scene. I’ve heard nice things of it. You’ll be around at the WordCamp and want to connect? Awesome. If your job is anything like mine (marketing / support side of things for SaaS, web apps built on WordPress, etc. ), even better. Ping me on Twitter (@franzvitulli) or leave a comment here.